On the recent Goddess Pilgrimage to Crete women had the option of riding up a winding road on a mountainside in the back of a farm truck singing “She’ll Be Comin’ ‘Round the Mountain” or could choose to go with the guard in his closed automobile. 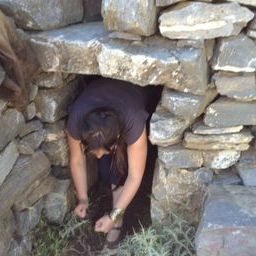 On the Goddess Pilgrimage we remember the dead in an ancient Cretan tholos tomb. 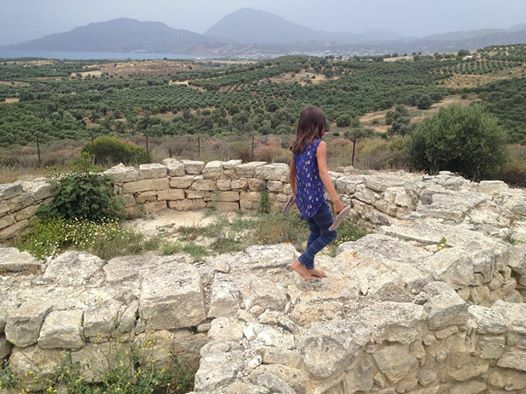 The tholos tombs of ancient Crete are round. They were roofed and entered by a low narrow passageway. A heavy slab was used to seal the entrance. These were communal tombs, used and reused for centuries by small farming communities. After the bodies had decayed the bones were removed to ossuaries, sometimes to bone rooms adjoining the tombs, in other cases placed in caves. In Orthodox Christianity in Greece today secondary burial is still practiced. After death, the body is buried in the ground in a wooden coffin. Three to five years later the body is dug up, and if the flesh is fully decayed, the bones are washed and removed to a communal ossuary. In my village the bones are placed in a small box which is set on a shelf in the bone room next to the cemetery. Orthodox Christian belief is that these bones will rise when Christ comes again. Anthropological studies suggest that many Greeks believe death is final. When I think about the death rituals of ancient Crete, I imagine that the round tomb with its narrow entrance was understood to symbolize the womb of Mother Earth. We are born through the narrow passageway of our mother’s bodies. In death we return through a narrow passageway to the womb of the Great Mother who accepts us back into Her body. 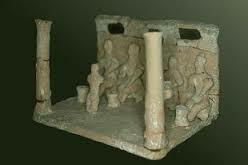 Small ceramic dioramas found in the tholos tomb at Kamilari suggest that baking bread and stamping grapes in a sacred way were followed by communal rituals in which bread and wine were shared with the ancestors. There is no doubt that both our good deeds and our bad deeds will continue to influence the web of life for generations. The sins of the fathers are indeed passed down for seven generations. But so is love. We love because we have been loved. Communities that honor the ancestors recognize that life is a gift that must be passed on. In their rituals, they thank the ancestors for the care and generosity that has nurtured the seed of life through the generations. It is said that the ancestors draw near as summer turns to winter. I invite you to gather photographs and other things that remind you of your ancestors—both physical and spiritual–on a table in your home in the coming days. Add fruits and flowers and a pitcher and a large bowl. Also see: Why Death is on the Minds of Many Major Religions This Month. Carol has just returned from a life-transforming Goddess Pilgrimage to Crete–early bird discount available now on the 2015 tours. 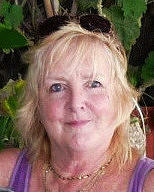 Carol can be heard in a recent interviews on Voices of the Sacred Feminine, Goddess Alive Radio, and Voices of Women. Carol is a founding voice in feminism and religion and Goddess spirituality. Her books include She Who Changes and Rebirth of the Goddess and with Judith Plaskow, the widely-used anthologies Womanspirit Rising and Weaving the Visions. Follow Carol on GoddessCrete on Twitter. very historical and impressive presentation – You might consider to visit Jerusalem. Who says, “…the ancestors draw near as summer turns to winter.”? I thought the Greeks believed death was final. You say you are not interested life after death, but would your spirit be willing to hover around afterwards and help the living avoid getting into worse trouble than they set themselves up for? An ameliorating spirit, so to speak? So beautiful, Carol. Thank you! Charles Dickens knew that the ancestors draw near. Even though the Ghosts of Christmas Past, Christmas Present, and Christmas Yet to Come in A Christmas Carol are not named as anyone’s ancestors or relatives, he and apparently many of his readers (and maybe also the people who came to hear him read the book when he took it on tours) knew that death is not the end. Scrooge died that night, spent some time in what we might imagine as a sort of tholos tomb (his curtained bed), and was reborn a better man. The ancestors do indeed start returning about now–at what we called Hallowed Evening–and if they want to, they keep coming to visit us until the winter solstice. Thanks for writing a lovely blog about ancient and modern celebration. Also, maybe a small detail, but much meaning embedded in your last illustration of the Kamares style fruit bowl, with its geometric patterns. Wikimedia Commons has a gorgeous enlargement (from Phaistos, Crete, 1800-1700 BCE). The double paisley forms, on the outer rim, have been thought to be double womb forms, possibly representing the double goddess, Demeter and Persephone. Sarah, when I saw the fruit bowl in Carol’s blog post, I immediately asked myself if the paisley forms were Demeter/Persephone?! Could you please post the link to the Wikimedia Commons enlargement? Thanks in advance. Can’t find it now. Search “Kamares style fruit bowl” at Google it comes right up. Can’t find it now, just put in a search at Google for Kamares ware style fruit bowl – it comes right up. I found it, Sarah. Thanks. 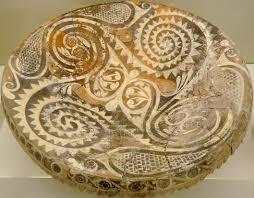 I interpret the images on the Kamares bowl as seeds and seed pods sprouting into the spiral of life. But multiple meanings are always possible. 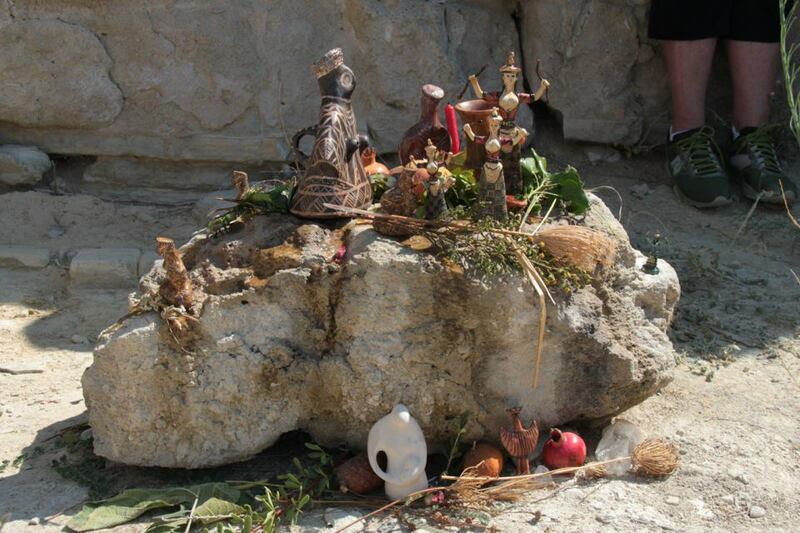 Thank you for this most interesting post highlighting the death rituals of ancient Crete. I was not aware of the continuity of many of these rituals until I read a poem entitled Lament: Moirologia by Joy Manesiotis in her collection “They Sing to Her Bones”. I trust she won’t mind me sharing it with you. loosed across dusty paths, paving stones traced in white. and forth, dragging nails across their cheeks, Ah Mother! you knew how to embroider the sky with all its stars! to her hair turned white, to her hands broken in work. washing. My mother has travelled far away. palms cupped over the crown. Ah Mother! Thank you for posting this poem, Nick. I love it! Reading this felt so right after attending an interfaith service last night organized by a nonprofit called Faith Action for Community Equity (FACE). http://facehawaii.org/ In working towards advancing legislation to ensure long term care for all, especially those who cannot afford it, they held a service called “Proverbs from our Families,” sharing wisdom remembered from our kupuna (elders. )/ Not unlike “Our ancestors live in us.” Thank you for a beautiful post.